Two weeks ago. Saturday night. I am almost asleep when the text comes. It is from my oldest son. The one in Phoenix. Nine hundred miles away. "Hurt my knee. On crutches on the sidelines." "Naw. Hyperextended it. Just need to rest. It'll be awright." Later he texts me that a trainer has driven him to his apartment. He has ice on it. The next day he tells me it is a little bit better. I feel relieved. Until Monday. When he tells me he will be having an MRI on Thursday. And Thursday. When he tells me he will be having ACL surgery the following week. He wants to give up. "I only came to school to play football," he says. "And now I can't do that." I might as well just come home." I talk him off the ledge. Call a semi-sympathetic coach. Get him to talk to my son. I want to go. To be there. To take care of him. But in the meantime, Son #2 has made a stupid stupid stupid 5 second teenager decision that has potential for huge, life changing legal ramifications. And I cannot leave the state. Because I have to take care of Son #2 and his issues. I have to settle for phone calls with coaches and the athletic trainer. The surgery is Friday. We talk every day. I try to explain that he needs to go to the grocery store ahead of time. Stock up. Prepare. He spends $20 at 7-11. I talk to him in the waiting room on Friday. He is still calm. Or at least he sounds calm on the phone. The surgery is supposed to be at 7. He is supposed to be done by ten. Home by noon. The coach texts and tells me he has dropped Son off. He will call when the surgery is over. 12:00 passes. 12:30. 1:00. 1:30. I cannot stand it anymore. I call the coach. He tells me that the surgery did not start until after ten. I imagine my baby sitting in a waiting room by himself for three hours. I am sure he did not take a book. He is waiting for my son to come out of surgery. Two hours later, I get a call. My son is home. He is groggy but ok. The coach has picked up his prescriptions. His roommate, 18, talks to me. Reads the directions off the pill bottles. "I'll take care of him," he assures me. And again, I so want to be there. Saturday, my son, who never misses a practice, never complains after a game, never stays home sick, tells me his knee hurts. A lot. I have never heard him say anything hurts. Even when he dislocated his thumb. Or ruptured his eardrum. Never. And I know it hurts. A lot. And I so want to be there. To take care of him. To remind him to do the knee machine. To give him pills at the right time. To make ice bags. To feed him. And now we are ten days out. The boys lived, for a week, I think, on pizza, Seven-Eleven nachos and Chinese delivery. But he is a little better. Or at least he tells me he is. And I so want to be there. He will start physical therapy soon. Insurance only pays for part of it. I will need to find another $400 a month. I wonder what else I can cut out of our budget. And he has missed a week of school. And he was never a strong student. I wonder what his grades will look like. Whether he will be able to go back next semester. Whether he will want to go back. What he will do if he doesn't. What he will do if he can't play football again. And I so want to be there. We had two days of fall break last week, which meant I got a little more reading time than usual. I read three intermediate grade novels, all with girl protagonists. 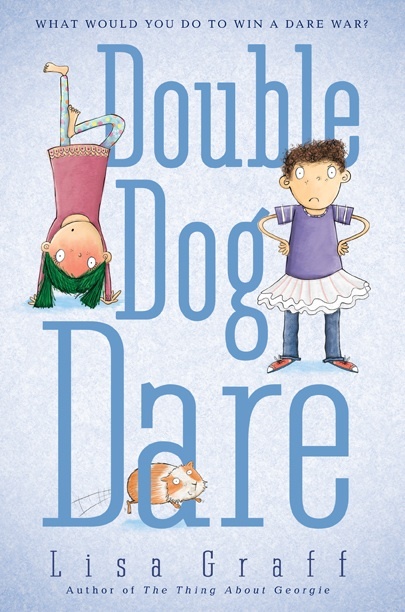 My favorite, and one that I cannot wait to share, was DOUBLE DOG DARE, by Lisa Graff, which I think would be a perfect fourth or fifth grade beginning-of-the-year (or later in the year) read aloud too. Francine Halata has dreamed of becoming the media anchor at Auden Elementary for years. Her plans are changed, however, when Kansas, a brand new kid, king of dares at his previous school, somehow ends up being nominated for the anchor job. 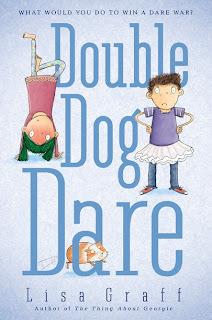 Francine and Kansas challenge each other to a month of dares, with the winner guaranteed the coveted media anchor. At the same time, on a much deeper level, Francine and Kansas have more in common than anyone knows. Lots of really funny scenes, but also some very real life issues. 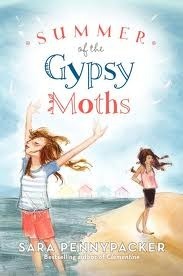 The second book I read was SUMMER OF THE GYPSY MOTHS by Sara Pennypacker. I love Pennypacker's CLEMENTINE series, so I was excited to see this book. Stella, the main character, lives with her Great Aunt Louise, the manager of a group of guest cottages on Cape Cod, and Angel, a foster child that Louise has taken in to keep Stella company. The two girls are not friends, at all, until a tragedy strikes and then the two girls have to learn to depend on each other. I don't want to give away the book, so I'm not going to say a lot. I will say, however, that I loved, loved, loved Stella. She is everything I would want in a girl character- plucky, independent, resourceful, and level-headed. Angel reminds me of a lot of foster kids I have known- afraid to trust, but a really good-hearted kid. While I liked these two characters, there were parts of the plot that I had trouble swallowing. Even so, I think kids who enjoyed the CLEMENTINE series would be excited to know that there was another Pennypacker book available. 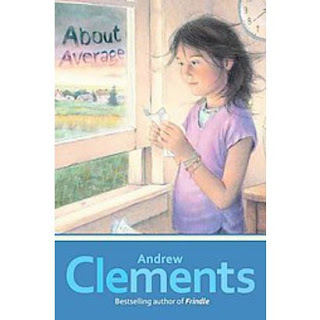 The last book I read was ABOUT AVERAGE, by Andrew Clements. The main character, Jordan, was another character that was really easy to like, she was just an all around great kid. Jordan, however, doesn't view herself that way- she knows that she is not the prettiest girl in her class, or the smartest, or the most athletic, or the best musician, and her goal insixth grade is to be recognized for being good at something. Again, I have to confess that this is not my favorite by the author, but again, I think it's a book that kids who like this author will be glad to find. And on the TBR pile? Umm, not sure. I have Sharon Creech's THE GREAT UNEXPECTED checked out from the library and am waiting for a pile of CYBILS poetry books that I have reserved to arrived. And I have stacks and stacks of TBR books, but am not sure what else I will get to this week. Happy reading! So much of the reading/learning I do these days is online. I decided, then, that every once in a while, maybe once a week, maybe once every six weeks, I am going to put up a post highlighting a few pieces I especially enjoyed, or learned from, or think other people might learn from. Rachel Hartman, author of the critically acclaimed, instant New York Times bestseller SERAPHINA; Stefan Bachmann, author of THE PECULIAR (Harper Collins), and Christopher Paolini, author of the international bestselling series the Inheritance cycle and, most recently, the INHERITANCE Deluxe Edition. These three authors will discuss their inspiration and their characters, and also take viewer questions. Next, a couple of posts from Michael Rosen that ll my poetry-loving/teaching friends will enjoy. First there is a great piece, "What Poetry Does." "A good deal of poetry is a kind of 'portable philosophy'. That's to say it expresses quite difficult or challenging ideas in ways that can be carried around in your head." "Perhaps (poetry is) a way of concentrating thought in the midst of action." "Poets make the things we know unfamiliar (often but not always through metaphor, simile, personification etc). Poets also find unfamiliar things and tell us about them in ways that we come to know them, feel them or understand them. You could argue that if education just did this, it would have done a good job. " 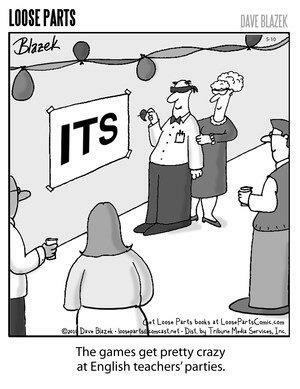 And another great poetry-related post by Michael Rosen, "Twenty Things to do in Your Classroom." This year, everyone has been talking about the book WONDER, for good reason, I think. It's an amazing book, with a really powerful message. Last week I stumbled across the website, "Including Samuel" that has a similar focus. "Including Samuel" is the website of photojournalist Dan Habib. Habib has a son named Samuel, who is in a wheelchair because of cerebral palsy. As I understand it, Habib made a film about Samuel, which has morphed into a much larger project. This website has clips, and other ideas for ways people could make their schools and communities kinder and more supportive places. And then probably my favorite time-wasting websitess- puppies! This summer, I started following a website. www.explore.org. They had a 24 hour webcam set up in at the Warrior Canine Connection, an organization that breeds golden retrievers (my favorite) and labrador retrievers for soldiers coming with PTSD. Those puppies have moved on to training homes, but you can still watch the highlight reel and read the comments, (look for the ones from Warrior Canine Connection because those are from Molly, the director of WCC and contain lots of great information about service dogs). Another camera on the EXPLORE website shows a farm that breeds great danes for mobility dogs. There are lots of other great cams on this site- this summer, for instance, I watched brown bears catching salmon in Alaska. Fascinating!